1981! Just a weird year when it comes to movies! 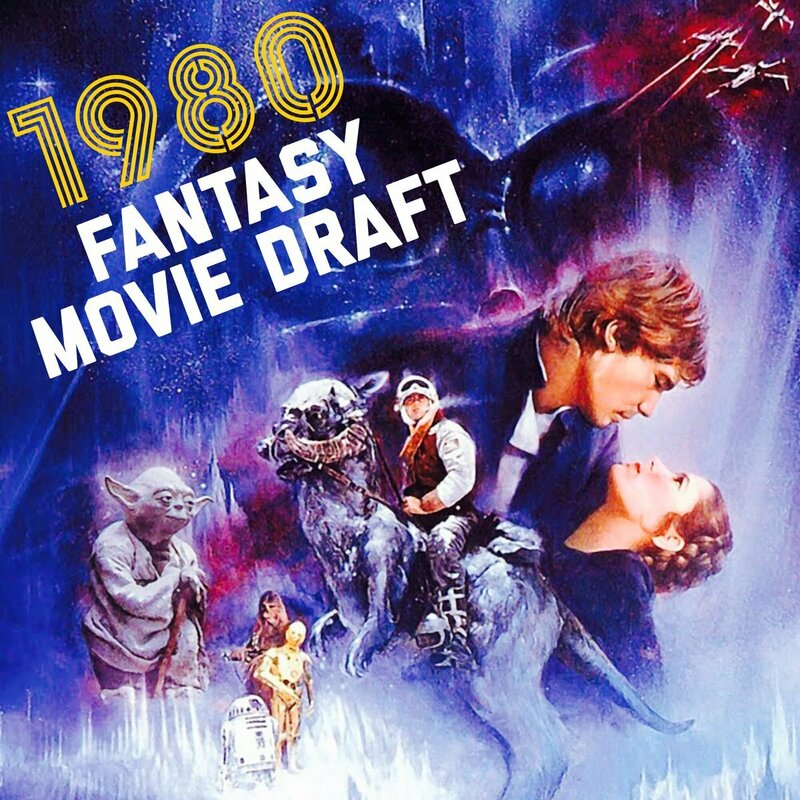 Which made it perfect fodder for one of the kookiest drafts we've done yet - our 1981 #FantasyMovieDraft! The tension was tight for the 2nd round of our 80s Tournament! Putting their gloves on in the '81 ring were draft vets Tony from Take Too Podcast and Marc from Poop Culture plus draft newbies Gidgit from The Retro Cinema and Billy from We Watched A Thing! Go to our Twitter and vote for your favorite team once the poll drops! Please check out our podcast on Facebook, follow us on Twitter @MovieGeekCast and find our pod and several other awesome ones like it on the PodFix Network! Subscribe and if you like us (like really like us), we'd appreciate it if you leave us a positive rating and review on Apple Podcasts! You can also email us any questions or comments to moviegeekcast (at) gmail (dot) com! Singing circus folk and mentally unstable social media wannabes, oh my! 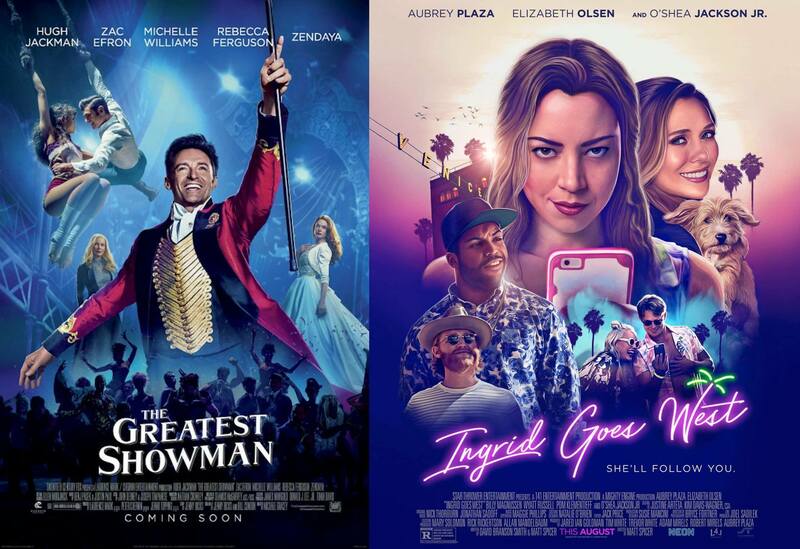 This week, Krissy was totally in charge of the double feature and she picked two 2017 films we'd thus far missed, The Greatest Showman and Ingrid Goes West! Are they worth your time? And did Justin regret the loss of power? Answers are found within as we discussed dicey musical numbers, circuses and zoos, muddied problematic themes, Instagram fears, Ice Cube's bloodline and much more! Plus we announce next week's #FantasyMovieDraft theme! Please check out our podcast on Facebook, follow us on Twitter @MovieGeekCast and find our pod and several other awesome ones like it on the PodFix Network! Subscribe and if you like us (like really like us), we'd appreciate it if you leave us a positive rating and review on Apple Podcasts! You can also email us any questions or comments to moviegeekcast (at) gmail (dot) com! 1980! It's not only the birth year of one of us! 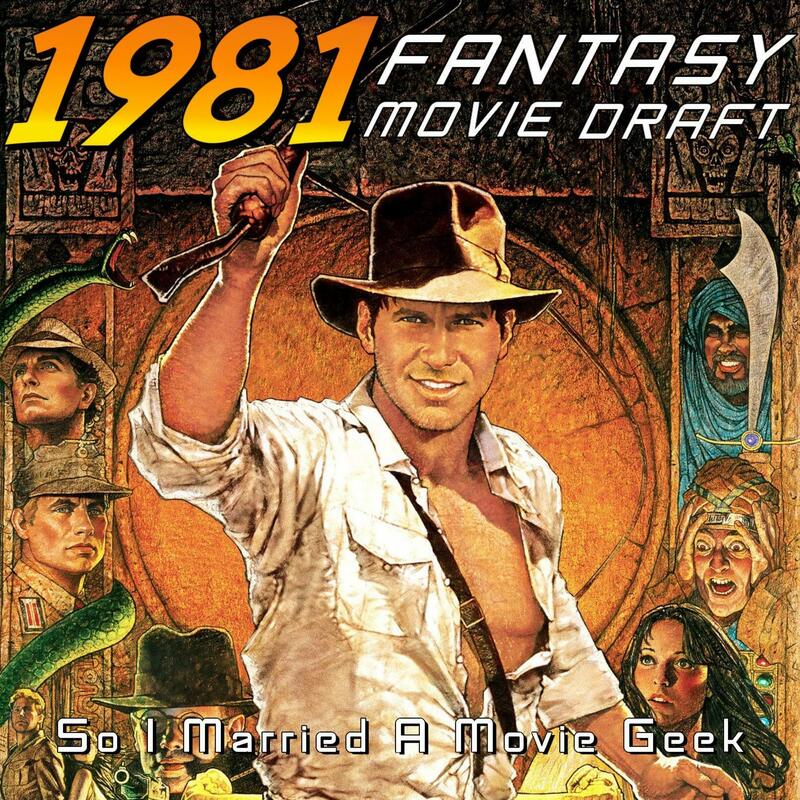 it's also the 1st year of the 80s decade and the 1st year in our big 80s #FantasyMovieDraft Tournament! Yup - it's finally here and joining the podcast to draft the best of the best films of '80 are 2 draft vets and 2 draft newbies - Paul from The Countdown: Movie and TV Reviews, Shane from Now That I'm Older, Drew from Reel Feels Podcast and Karen from Citizen Dame! Whomever wins the week advances to the semi-finals of the tournament in 2019. Word of warning - it's a rollercoaster ride of a draft so buckle up! Go to our Twitter and vote for your favorite team once the poll drops! Please check out our podcast on Facebook, follow us on Twitter @MovieGeekCast and find our pod and several other awesome ones like it on the PodFix Network! Subscribe and if you like us (like really like us), we'd appreciate it if you leave us a positive rating and review on Apple Podcasts! You can also email us any questions or comments to moviegeekcast (at) gmail (dot) com! Shhhhh!!! 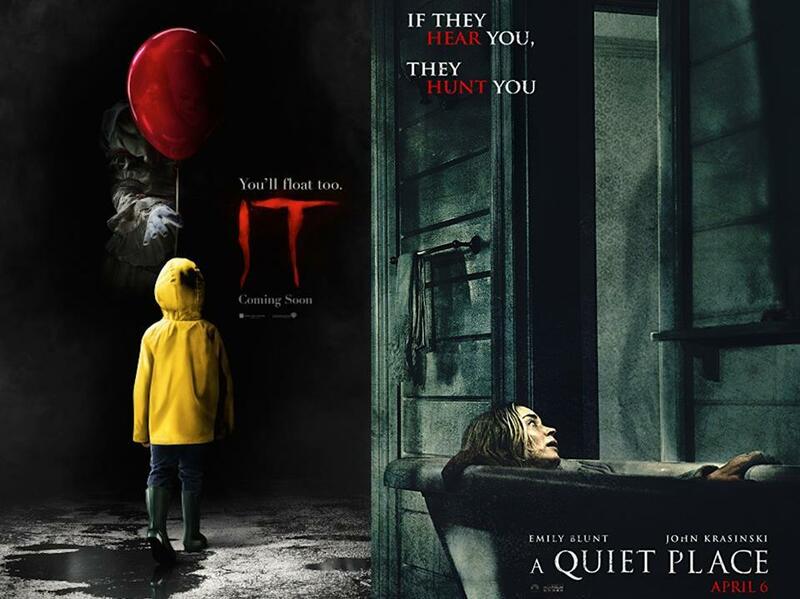 This week, we're following the results of a poll to see what recent-ish movies we should catch Krissy up on - so we watched the scary double feature of It (2017) and A Quiet Place (2018)! Which one did she like better? And which one did we watch with Krissy's mom? Plus - how would we deal with living in a quiet place? Prepare for lots of crazy tangents! Thanks for listening! Please check out our podcast on Facebook, follow us on Twitter @MovieGeekCast and find our pod and several other awesome ones like it on the PodFix Network! Subscribe and if you like us (like really like us), we'd appreciate it if you leave us a positive rating and review on Apple Podcasts! You can also email us any questions or comments to moviegeekcast (at) gmail (dot) com!